Faithful 1.8 Texture Packs for Minecraft will help make your game look better and at the same time improve the overall performance of the game as it increases aesthetics and overall value. These types of texture packs do not change the theme of the game however it does make it look renewed. The default resolution of Minecraft is 16×16. These texture packs are available in multiple resolutions such as 32×32 , 64×64, and 128×128. 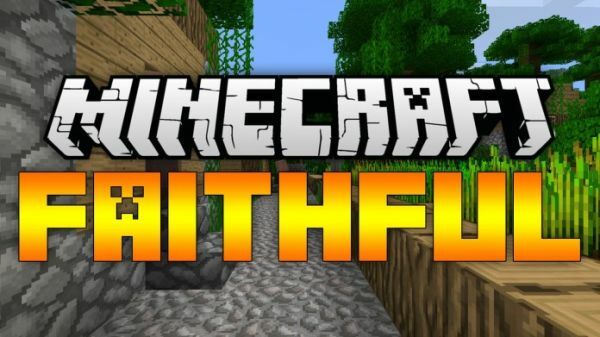 Click below to see the awesome versions of Faithful Texture Packs. As you can see in the selection below there are tons and tons of Faithful texture packs for Minecraft 1.8. They differ in the percentage of how faithful they are. They also vary from what time of improvement they make. We have gone and summarized it all for our beloved community and given the scores for our best faithful packs! Click below to see the official top 10 faithful pack list! Without further ado, you can see all the available Faithful 1.8 for Minecraft in the list below. Enjoy the best faithful packs!